Is your riding arena hard and unworkable? Is it excessively dusty? Standard sand or clay soils can be very dusty and have a tendency to harden, or cake. Adding ArenaBlend Arena Conditioner will significantly reduce dust and prevent your arena from hardening or caking and will keep the soil loose and workable. ArenaBlend is available in bulk, and is typically delivered by semi or dump truck load. Because of its light weight, you receive approximately twice the volume per truck load versus standard sand. Although application rates can vary by location, tilling or harrowing 1-2 inches of ArenaBlend Conditioner into the top 3-6 inches of your arena’s top layer is a good rule of thumb. ArenaBlend also makes an excellent bedding material that can be used under or in place of saw dust or shavings. It is free draining, easy to clean, and requires much less maintenance as it does not break down. 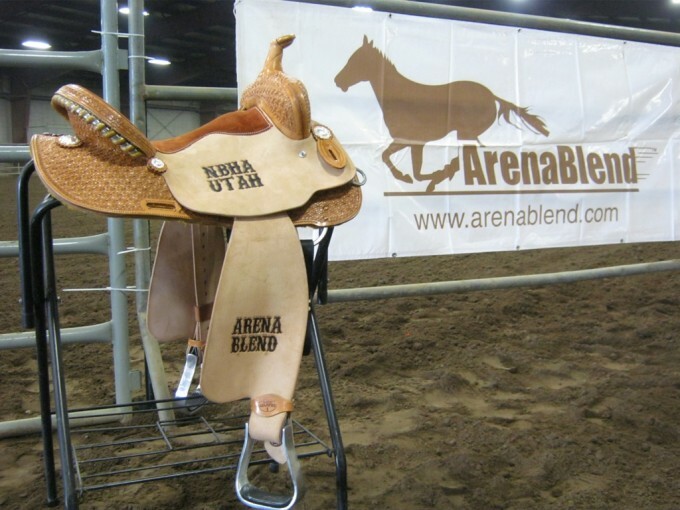 ArenaBlend horse stall bedding material is an excellent choice for indoor or outdoor stalls. For more information on ArenaBlend, please contact Bruce Dickamore 801-560-5877 or Vernon Mortensen 435-640-8376.